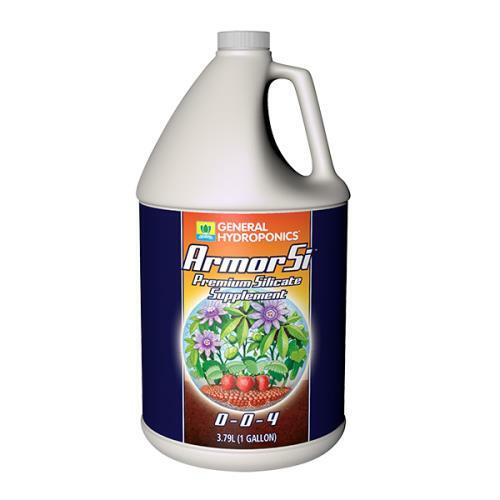 Armor Si™ is suitable for all types of plants during all stages of growth. It can be used for plants growing in hydroponics, Coco Coir and all types of media. Use as a growth enhancer with irrigation water or in addition to your regular fertilizers. 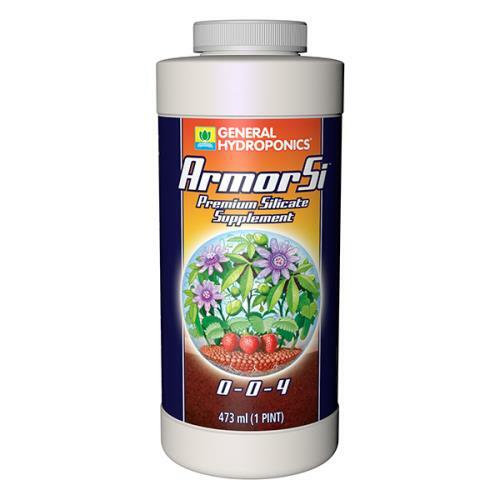 Armor Si™ improves plant structure and foliar development, increases yield and improves flower and fruit production. Your plants will additionally experience improved heat and cold tolerance, stress resistance, improved light absorption which leads to greater plant stature. When it comes to the many threats that plants face — unexpected cold, surges in heat, wind stress, low light levels — the higher the resistance, the stronger the plant. 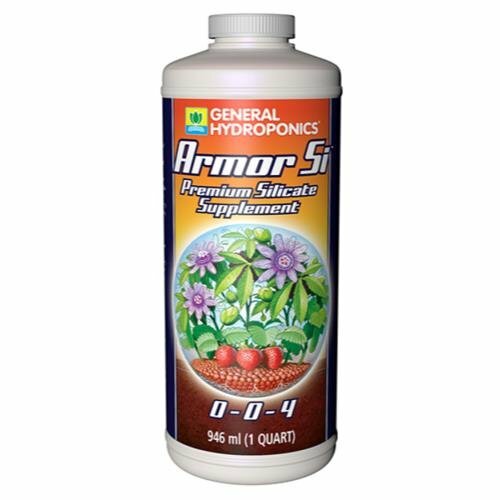 Let Armor Si help you build a superior level of protection while providing vital supplements that your plants need for growth. Suitable for all types of plants and during all stages of growth, Armor Si improves plant structure and increases light absorption through silica. This not only strengthens a plant’s foliar development, but also raises yields and advances flower and fruit production. Growing conditions can be unpredictable, even with carefully planned schedules. Sudden cold snaps, a stretch of drought or seemingly endless cloudy days cause your plants stress. While some stress is necessary for vigorous growth, too much can weaken plant structure and harm fruit and flower development. Plants growing in setups where silica isn’t naturally present — such as hydroponics, coco coir or soilless mixes — can be especially prone to difficulty with salinity, mineral deficiency and insects. With Armor Si, you’ll have an extra level of resistance that can help plants thrive even in challenging situations. Use it as a growth enhancer with irrigation water or in addition to your regular fertilizers.